Japanese Haiku is an elegant, timeless art form defined by the arrangement of syllables and the spare evocation of a concept, emotion or natural event. When written in English, the classic form is three lines of five, seven and five syllables. Because of its short form, Haiku is an ideal poetic style for kids of all ages. Show them some easy Haiku examples and set them loose. The Haiku form can grab a hold of daily life and freeze moments you might otherwise miss. Humor makes even the worst events bearable and nothing at all is banal or boring when you spin it with some pithy kid philosophy. Where are my clean socks? Annual celebrations are wonderful opportunities for kids to use Haiku on handmade cards. A handwritten Haiku makes a good bedroom door decoration, too. Poems can be printed on holiday dinner place cards or tucked into hollow plastic eggs for an Easter hunt. What worked for the sages captures the change of seasons just as well for the school-age set. Poems about nature that mark the passage of time are classic and can be added to photo albums and scrapbooks or used to separate sections of journals. The brevity of the Haiku is ideal for distilling powerful emotions and finding some timeless perspective in them. Articulating emotion in a disciplined form helps to release it and makes it easier to observe with some detachment. Traditional Japanese Haikus contain moras, or sound units. In English, syllables are used rather than moras. It is designed to have strong imagery and a strong feeling. A Haiku is typically focused on a single moment or event. Think about a specific moment or experience that left a strong impression on you. It can be based on any emotion - amusement, anger, fear, joy, happiness, excitement and so on. Consider a favorite memory involving someone close to you like a friend of family member and think of a special time you shared for inspiration. Brainstorm different adjectives that leave a strong impression to get creativity flowing. Relax and think of ideas for your poem in a quiet space without the tv or radio. This will help you focus on the emotions you want to convey in your poem. Use a magnifying glass to study something small in a quiet spot. For example, examining the details of a flower can create an emotional connection with the beauty of the natural world. Look at photos of favorite places to get ideas for your poem. Keep in mind Haiku is based on creativity. You can write anything from a funny Haiku poem to a sad one. Read Haikus from the famous Japanese masters to get a feel for how it's done. Haiku are very Zen. 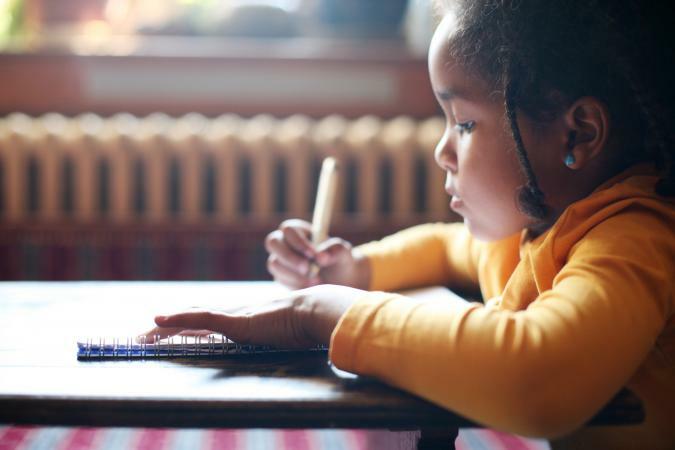 Just concentrating on writing one is a calming activity that's centered in the moment, reflective and mindful. A habit of Haiku can be a balancing strategy for a child that lasts a lifetime. Genius is found in the simple things. Haiku examples for kids of any age can be fun to read, as well as being educational. Writing them can also spur their creativity and help them learn helpful life skills. So give those kids their shot at immortality. Get out a pen and paper, and prepare to be charmed, astonished, enlightened and entertained.